The blog post described how you can disable this warning and from the comments it looks like many users are now doing this. This could be disturbing for anyone on a checkout page who is about to enter their credit card details. So if you’re web site developer you really need to avoid using mixed content – even for users who have disabled this warning. Firefox has the mixed content warning turned off by default. Let’s hope Microsoft do the same turn in the next version of IE. I duplicated this behavior in IE8. Setting style.backgroundImage = “none” prior to removeChild prevents the error. We’re having a similar issue with this site: https://www.ua.edu/advancement/giving/donate/index_test.cfm. There are no calls to http:// objects in it, but I suspect some of the JS may be causing the issue. Any insight? this message is due to mixed(http+https) content on the page. please make sure that ur https page contains only https content on the https page. 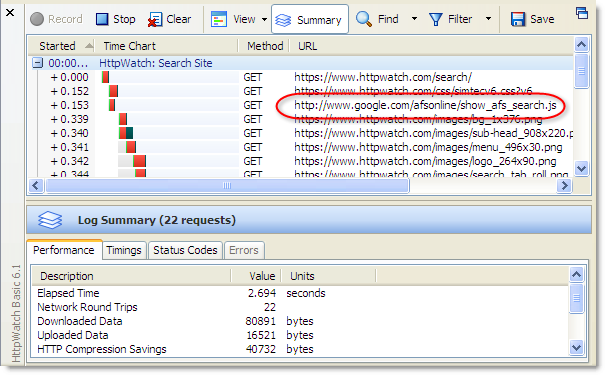 using this software you can find all http references in https page. We are experiencing the same issue for a client, but only for the FIRST session with the browser. Subsequent sessions do not incur the error. This only happens in IE 8. Did any of you see that behavior, where the error occurred, but then went away on subsequent sessions? Whenever I go onto Facebook and click on Privacy Settings and then Search, it looks like everything is working properly. But then that message pops up and the search tool doesnt work. Just not having mixed content anymore is NOT an acceptable solution! Yet IE8 thinks it knows better and warns us… doh! Thank you. This was driving me crazy. In the process of trying to find the answer, I found that GeoTrust’s SSL badge was sending http: posts on every page load, but removing it didn’t make the warning go away. Then I removed Google Urchin, which was https, but was the only external link left, and still it popped up. Hi i tryed this but its not working from any end. im receving the same bug every time. There is another reason for this that I just discovered. jQuery uses “innerHtml” for .remove(), .html(), .empty(), etc. “innerHtml” will cause a mixed content warning in IE. One quick fix is to hide the current content using $(elem).contents().css(“display”,”none”) then append new content. There’s another IE bug, which shows mixed content error. Mixed content message is not shown anymore. I’ve just found yet another reason of this error. This is really stupid, because enabling mixed content for trusted zone only doesn’t work. To get rid of the warning, you have enable mixed content for the entire Internet zone. This is of course opening you up to the security risk the warning is supposed to protect you from! Thank you very much! The mixed-mode warning had been plaguing us for months. The issue detailed above was the culprit. Thanks again! Another thanks from me! I used this article to fix this. One odd thing though, the MC dialog returns when I’m using the IE8 debugger (F12). Anyone any ideas? Security Certificate Warning the site is insecure…. I guess the basic question is are there any know best practices to make your site as compatible as possible with the IE7, IE8 Security quirks? Hello, we have a .js file that is causing the IE 8 mixed content warning, I see a fix up there from “C”.. but I really need more details if anyone can elaborate on what he said. Our file has the innerhtml like “remove(), .html()” etc. and it is stated above that this can cause the IE 8 error, if anyone has a detailed fix to build on “C”s statement, like a code snippet, that would be WONDERFUL!. My answer is for ANDY B above. YES ANDY there are settngs in Internet Explorer that can make this error message to not show up. Fantastic blog…thanks a lot guys for adding so much of information. Initially I was looking for the http content using fiddler and httpwatch but couldn’t find it then came across to this blog and it opened my eyes. Although it was fetching using HTTPS it was causing issue and I had to change it to something like following to make it working. It is really a good one. I just submitted this article to my boss. So finally he understood that this is ie browser issue. Thanks once again. Here is yet another instance where IE will throw the mixed content warning. Apparently IE8 doesn’t the ‘../’ reference. We switched to an absolute URL and that fixed the issue for us. This applies to any functions that wrap innerHTML() like jquery’s empty().